VIP seating was empty early before the bands began to play. 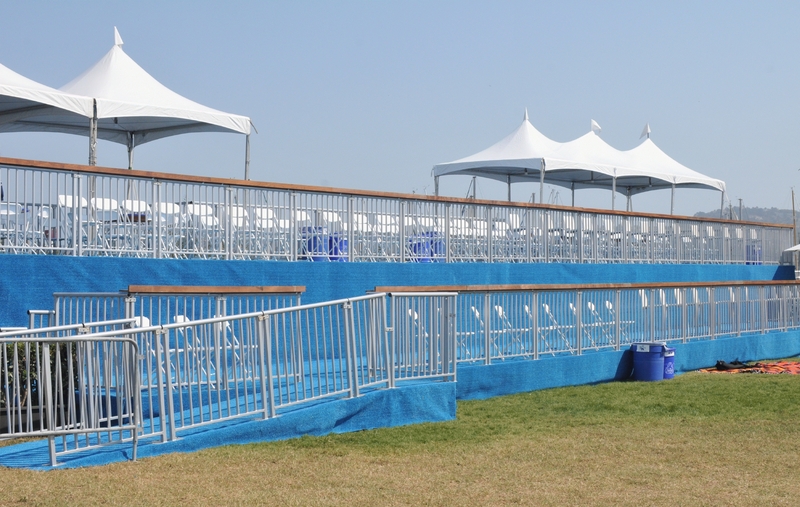 Notice wheelchair access to low seats were under sunlight, whereas high seats reached by stairs had access to some shade. 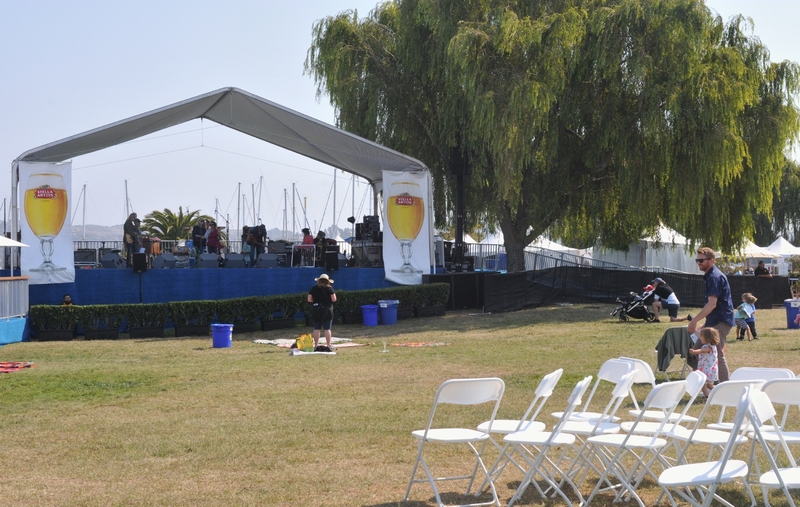 A VIP section was set up to the left facing the stage. 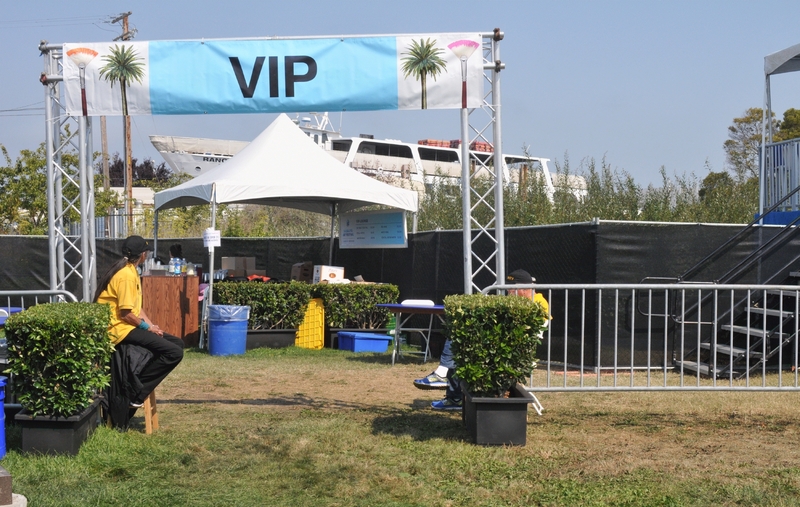 For a higher entry fee, a VIP individual had guaranteed seating under shade next to the stage, and access to a VIP-only cocktail bar. The stage early in the day while the band was just setting up. 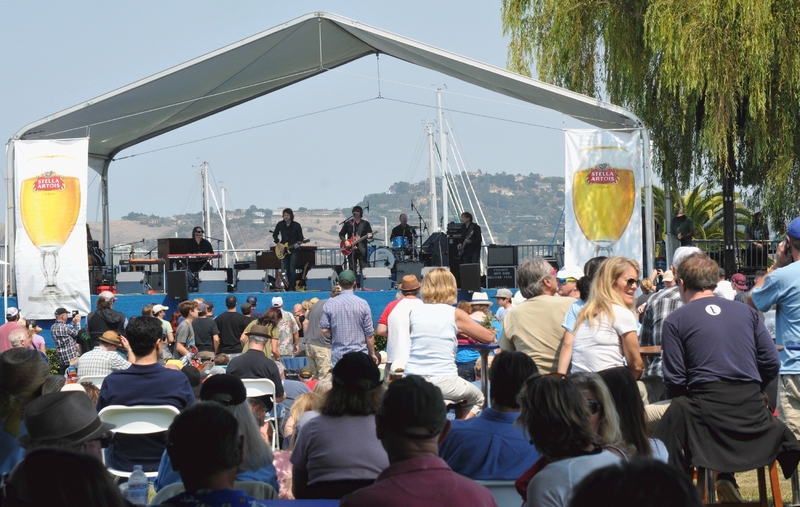 Notice the banners at each end of the stage advertising Stella Artois beer. Access to the stage was protected by stout men wearing orange shirts. It appeared as if one of the men had a beer glass balanced on his head. 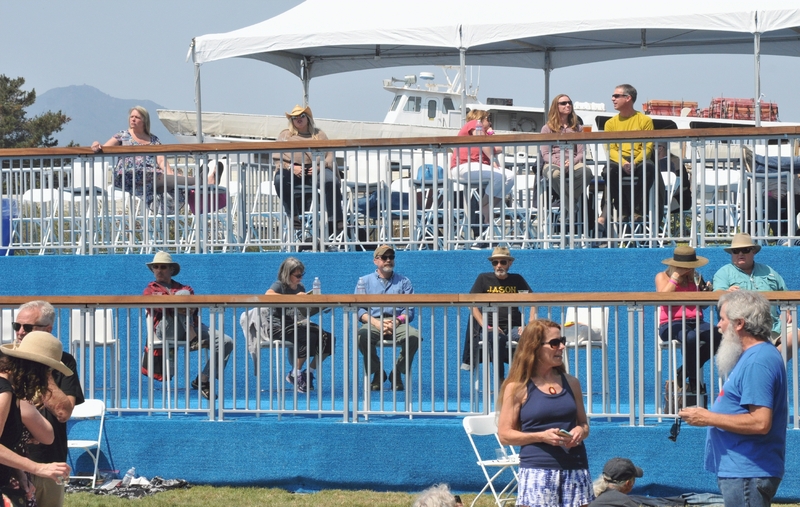 As the afternoon wore on, the VIP sections began to fill with people. 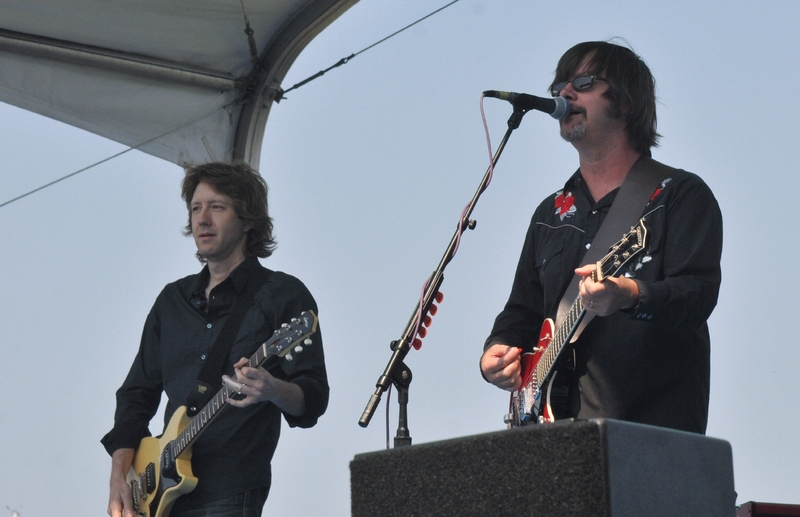 The band called, "Tom Rigney & John R. Burr" played from 1 to 3 pm on the Stella Artois stage. 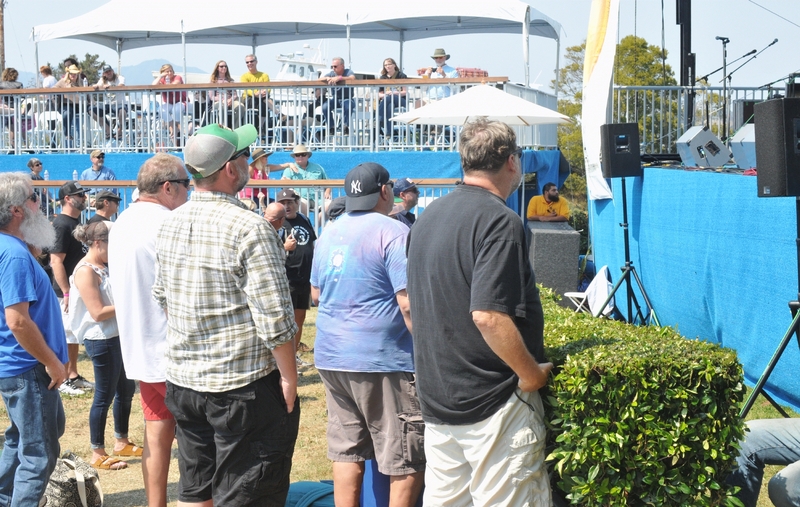 A crowd gathered at the foot of the stage to better see and hear the "Tom Rigney & John R. Burr" band. 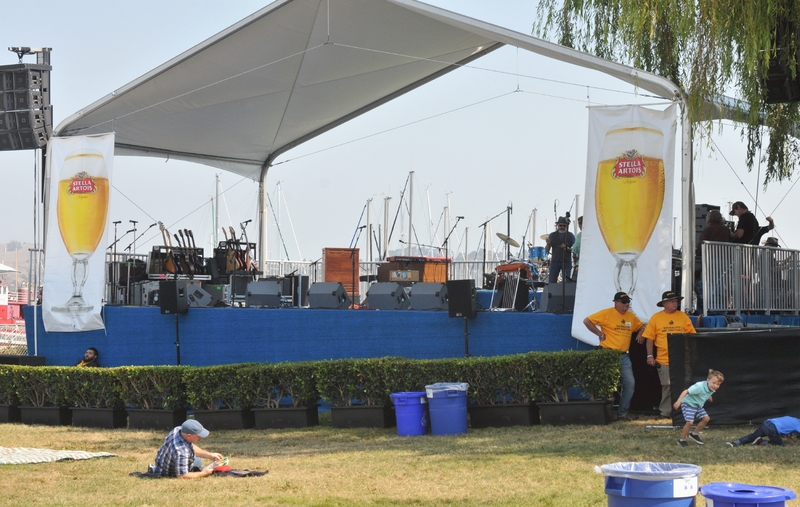 The grassy area in front of the Stella Artois stage was filled with people mid-afternoon. Many had dragged chairs and tables from under the shaded eating area to use while listening to the band.